Contributions to Far West by Xu Bing, David Blandy, Liu Ding, Cao Fei, Pierre Huyghe & Phillipe Parreno, Unmask Group, Gunilla Klingberg, Surasi Kusolwong, Michael Lin, Yoko Ono, Maverick Press, SOI Project, Seven Samurai, Janek Simon and Support Stucture. 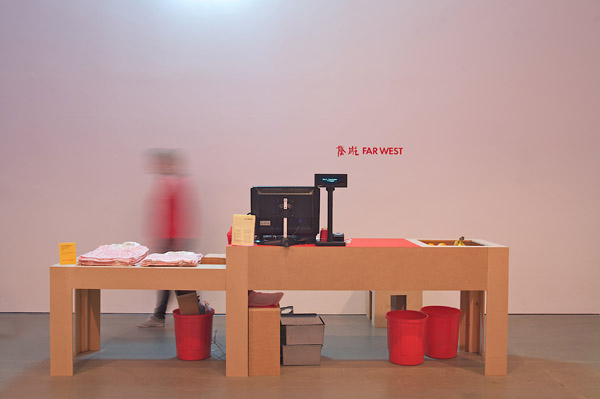 Far West is an experimental project that will transform Arnolfini from an arts venue into a distinctive concept store, that explores the shifting of the economic centre of the world to the East. The Far West concept store will provide customers with the experience of interacting with, producing, and then purchasing, a selection of specially branded products, designed by artists or inspired by artists projects from ornaments to music, comics, food, toys, and artworks. In the process, customers will gain an insight into the nature of economy, cultural hegemony, the history of certain products, and the marketing potential of regional identities. 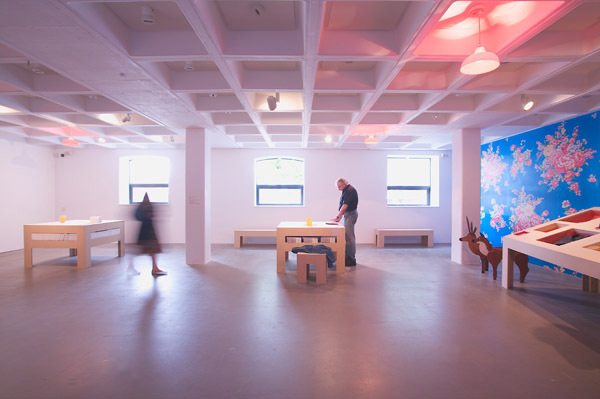 The notion of the art institution was questioned in a series of three exhibitions at the Arnolfini, one of Europe's leading centres for contemporary arts. The galleries were rethought as a space not only for passively displaying art, but also a place where artefacts are actively being produced. Thus, the furniture for the exhibition became hybrid-furniture, enabling both production and display within one unit. 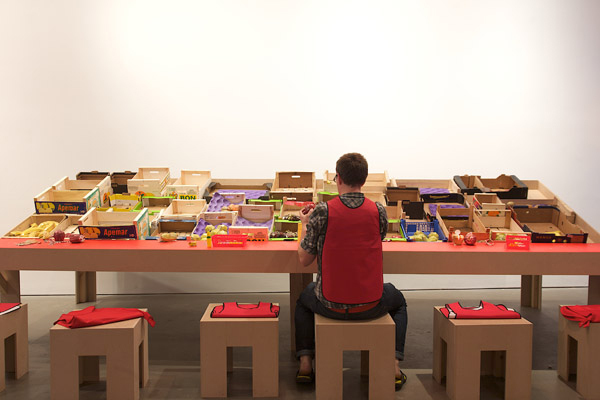 To emphasize the atmosphere of the galleries as working spaces as well as distancing them from the omnipresent generic white-painted art galleries, the exhibition furniture was thought of as utilitarian objects with deliberately awkward forms, dimensions and juxtapositions of uses – designed non-design.